We are happy to finally announce the official lineup for Clark Park’s Fall Festival with Rock to the Future on September 19th! In addition to our awesome performers, this year’s festival will have a collection of unique vendors, activities for children, and opportunities to win exciting prizes! For more information on becoming a vendor and for festival updates, check out our Facebook event page or website. Saturday June 20th, 2015. Noon-Dusk. Free admission. Vendor Registration is up! Sign up now! Registration for this year Summer Solstice Festival has opened! Sign up below! Online registration ends on June 19th but you can still pay the day of the festival if spots remain. Click below for more info! Pre registration for Vendors is now Closed! Vendors can still register on site on Saturday for $35! Philly Weekly Summer Fun Guide!! 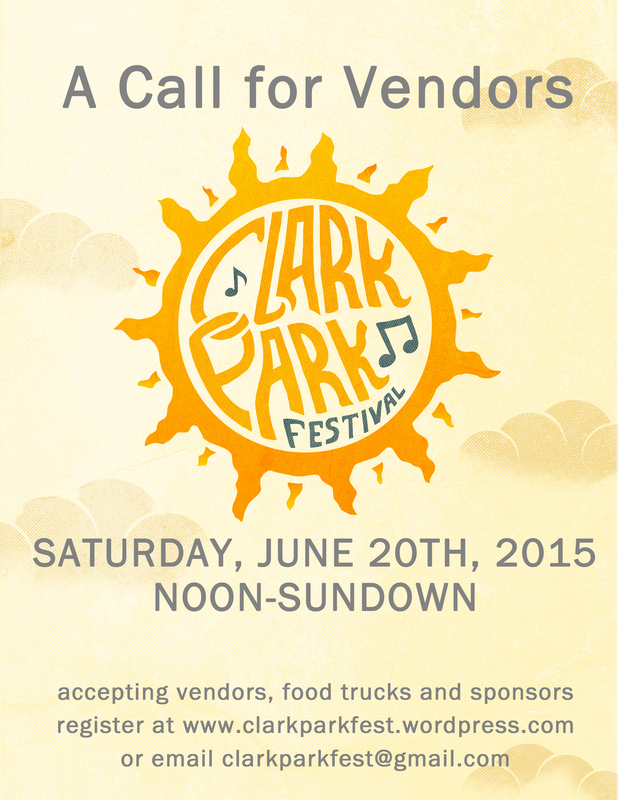 Check out the Clark Park Fest in PW’s Summer Fun Guide! We can’t wait to see you on the 30th! 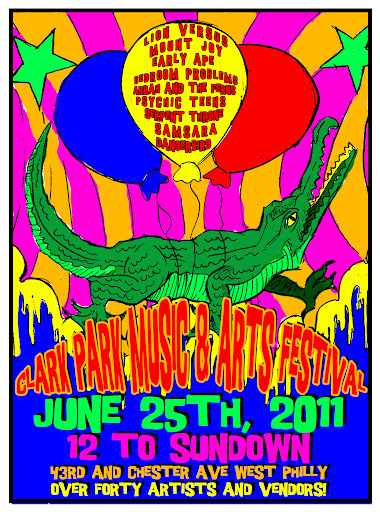 Clark Park Festival June 30th 2012, Vendor Registration now open! Please see out vendor page for more details! Take advantage of reduced rates! Vendor Registration for the Clark Park Fall Equinox Festival is now open! Check out our vendor registration page for details! 25 days til Clark Park Fest Vol. 41. Can you feel it?? Benefit show at Danger Danger Gallery! Join us this Saturday at Danger Danger Gallery for a show to benefit the Clark Park Music Festival. It’s only $6 AND all ages! 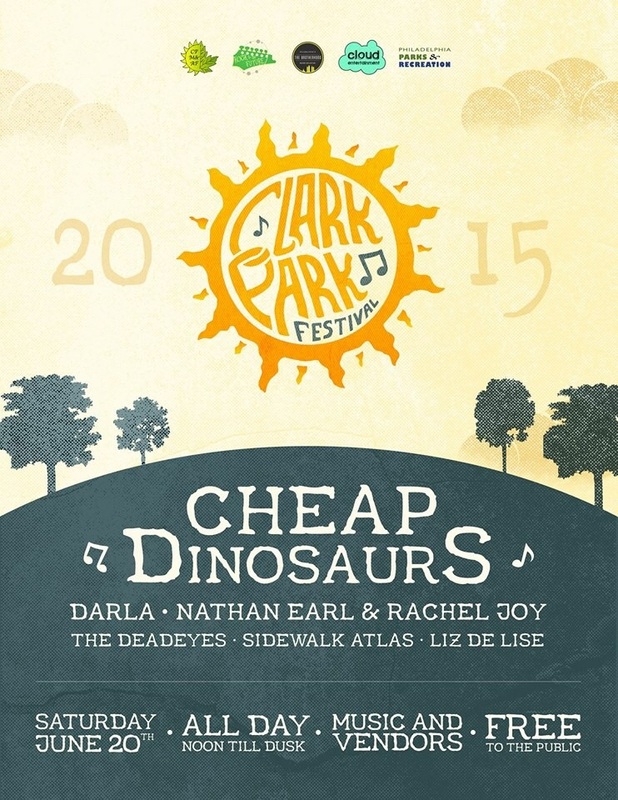 From 6:30-7:30 there is a listening party for the new Clark Park Festival CD!